WT everlovin’ F? 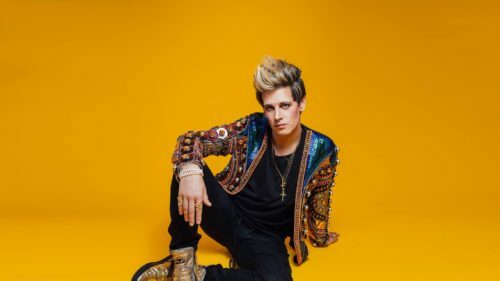 Ostentatious rightwing gadfly Milo Yiannopoulos has released a gospel single. Part of Yiannopoulos’ tired schtick is flaunting his money with designer clothes, expensive trips, and photos of receipts for lavish dinners and other purchases. His choice? “Silver & Gold” – a hymn about loving Jesus more than earthly wealth. The video is chockfull of images of his gaudy lifestyle and vulgar displays of extravagance. In one shot, he poses with a python like a rap star. In another he’s sipping champagne on a tropical beach. Later he shows off a restaurant receipt for a dinner costing $7,500. The lyrics are below the video, but suffice it to say in true Milo style, reality is far from what comes out of his mouth. The most surprising part of this latest addition to his schtick is that if it’s really him belting out the number, he can sing.